Alfred Aho was just digging out from the end-of-semester overload, wrapping up his legendary course, Programming Languages and Translators. “It’s my favorite course, and this is the text we use,” Aho said, reaching over to a bookcase in his office at Columbia University. He procured the “purple dragon book” — the latest edition of his “Principles of Compiler Design,” arguably the best-selling compiler textbook worldwide (a compiler is a tool for translating programs from one language to another). Co-authored with Stanford’s Jeff Ullman and published in 1977, the first edition became known as the “green dragon book,” and subsequent editions with additional co-authors evolved through the “red dragon book” to the latest printing in purple in 2007. Taking inspiration from MIT’s Noam Chomsky and his work in formal grammars for languages, Aho found his thesis question: How can we extend the power of grammars — which, in their essence, are rewrite rules governing sentence construction — to describe the structure of programming languages? “Can we find a way of describing more of the syntactic structure of programming languages than we can with context-free grammars, but at the same time preserving many of these grammars’ desirable properties?” Context-free grammars are grammars that generate sentences using syntactic constructs no matter what comes before or after, hence without context. “To this end I discovered a new class of grammars with a new kind of rewrite rules, that I called the ‘indexed grammars,’” Aho explained. “These grammars could specify all of the syntactic constructs of context-free grammars, and they could also specify a number of non-context-free constructs found in programming languages.” Aho’s indexed grammars were more general, and thus more powerful. 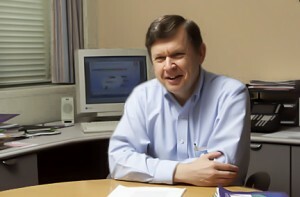 It was the perfect environment for Aho to develop his penchant for asking questions, now taking his inspiration from Stanford’s Don Knuth and his invention of LR parsing — that is, finding the structure of computer input from left to right, character by character, and figuring out the meaning without backtracking and reconsidering previous conclusions. Aho, teaming up with Ullman and Stephen Johnson, optimized and applied Knuth’s algorithm in a tool they named Yet Another Compiler Compiler (a compiler compiler is a tool for making compilers). Commonly referred to as yacc, it is still the tool of choice for creating parsers for programming languages. “The languages that the students have produced over the years continually exceed my expectations and imagination,” Aho said. Last semester, one language was called “What to Wear?” “With this language,” explained Aho, “you specify the sartorial style you want to present, you enter the clothes that you have in your closet into a database, it looks at the weather report for where you are going the next day, and then it makes fashion suggestions for what to wear. You could imagine the potential of this type of language for Macy’s or J. C. Penney.” This past semester students came up with languages for composing music and simulating card games. One language, called “Racecar,” was designed to teach students from kindergarten through eighth grade how to think algorithmically. “You have a race car,” Aho explained, “and then with the user interface you can program the race car to progress through an obstacle course. So you viscerally see what actions your commands are having and you can then write a program that will get the car through the obstacle course.” Another team, which included two students doing a joint master’s program with Columbia’s school of journalism, devised a language to assist journalists with research. Called Trowel, the language executes Web scraping, producing a digest of recent stories on a certain subject collected from specified websites, such as the New York Times. For the class project, however, the Trowel team scraped the pages from their professor’s website. “They took the Web pages for my course and assembled a little book out of my lecture notes, with a three- or four-line program,” Aho said, adding that such a digest would no doubt come in handy at exam time. With his Bell colleagues Peter Weinberger and Brian Kernighan, he designed the programming language AWK. “I just recently got a book from a German biologist who has been very fond of using AWK to study problems in genetics,” Aho said. “He has huge files, and he’s using AWK programs to look for patterns in DNA sequences. He said the reason he’s using AWK is because it’s so easy to learn and so effective for solving the kinds of problems he’s interested in.” What began as a practical tool — just something Aho and his colleagues could use to solve routine data-processing problems — took on a life of its own. The name AWK, drawn from the last names of the three designers, also came about unintentionally — when Bell colleagues saw the trio working so hard and often in each other’s offices, they took to walking by the open doors and saying, “AWK! AWK! AWK!” But the law of unintended consequences had happy collaborative results. “When you work closely with people you get to know how they think, and that is really scary — scary in a wonderful way,” Aho said. Working with Aho, his colleagues came to learn that questions are crucial to how Aho thinks. “He asks questions — what are the five most important things of some sort, or the 10 most difficult problems — he would go around and ask,” Weinberger said. 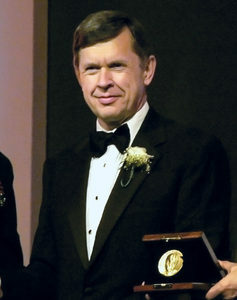 Aho’s tenure at Bell Labs included stints in management as a department head, as well as director and vice president of the Computing Sciences Research Center from 1997 to 2002. Even as a manager, he found time to indulge his passion for queries. After the business part of the day was over, as people stayed late into the evening and even turned up on weekends, just for the computer access, Aho was wont to appear unexpectedly at an open office door. Nearly 15 years at Columbia as the Lawrence Gussman professor in the computer science department has certainly kept him at the cutting edge. “I had this life plan that I formulated a long time ago, that I wanted to spend the last third of my career in academia, teaching and working with students,” Aho said. He pursued his new career with his usual energy, winning the “Great Teacher Award” from the Society of Columbia Graduates in 2003. The Programming Languages and Translators course he established more than a decade ago is now legendary — this year 160 students vied for 100 spots. In designing the course, Aho drew inspiration again from Knuth, who once said, “The best theory is motivated by practice, and the best practice by theory.” The students assemble in teams of five, and each team writes an innovative programming language and a translator. When asked what question he might pursue if he were just now embarking on his dissertation, Aho produced several in characteristic fashion. “You may have heard of the Church-Turing Hypothesis — that anything that can be computed on a very simple model of a computer called a Turing machine. Do you believe that the Church-Turing hypothesis is true?… Do you think human beings are biological computers?